In my assiduous attempt to provide my intellect with quality lectures favoring the breeding of uncountable thoughts I genuinely consider a chief condition for one’s happiness to achieve substance, I rarely came across spiritual themed books. Mysticism’s not really my cup of tea and reading its adepts has yet to attract me, you should know, but while relishing a dose of Borges’ oral speeches the other day (Borges being quite a brilliant modern mind, if you’d ask my opinion) I became unexpectedly intrigued by the man he was talking about, a certain Emanuel Swedenborg (1688-1772). Swedenborg who? Apparently, the guy was the proud possessor of a brilliant mind which Kant took some time in studying with expressed regrets he could never meet its owner, dead a decade earlier. Reputed scientist for the first half of one of those lives uncommonly long in the not so healthy 18th century (he managed to survive the age of 80), obedient student and offspring of a wealthy Lutheran bishop quite respected by the Swedish King, he was much appreciated himself for researches (truly ahead of his times) on human brain (developing the “neuron” concept barely occurred as an important matter to Swedenborg’s contemporaries), psychology and complex anatomy, although international recognition came with a treaty on similarities between metallurgy and philosophy. Later, he even took some time in designing a flight machine, reaching the sky otherwise than through death being a dream he had in common with da Vinci. Great variety in preoccupations, do observe. But not sufficient to conquer historic immortality. Until Providence generously opened the gates of a new domain Swedenborg could usefully study in a wholly eccentric perspective: theology. Now, how he came to have the transcendent visions on which his following works were heavily based one may effortlessly find on omniscient Wikipedia without my mentioning it, yet I’d like sketching their content as it explains my decision of boring you with this particular Swede. Upon experiencing an elevating journey of the type Dante made famous worldwide at the end of a swift adjustment, Swedenborg established a few marvelously novel religious ideas definitely surpassing, in context, Rudolph Steiner’s esoteric movement centuries later. According to him, our souls are directly responsible for their entry in either hell or Paradise since, here goes the surprise, each man is let to decide where to spend his afterlife. Swedenborg explains that, after an interval spent hanging in a neutral zone where angels and demons could freely pass, we are put to chose the place of our eternity, the only space in which we’re able to find happiness. Shockingly, some actually desire to reside in the fiery depths of infernal terror, which he doesn’t interpret as punishment. “The life of any one can by no means be changed after death; an evil life can in no wise be converted into a good life, or an infernal into an angelic life: because every spirit, from head to foot, is of the character of his love, and therefore, of his life; and to convert this life into its opposite, would be to destroy the spirit utterly.” Explained, it means a predominantly mischievous spirit, without being damned, can never pass Heaven’s doors because it would condemn him to tremendous misery; it’s not his nature to stay among those essentially good or graceful for he’s destined to hate, spite, breath in torturing vices alongside those assembling his temper, a theory most sophisticated in comparison with Bible’s old-fashioned variant -reminiscent, though, of Shaw’s “Man and Superman” third act. 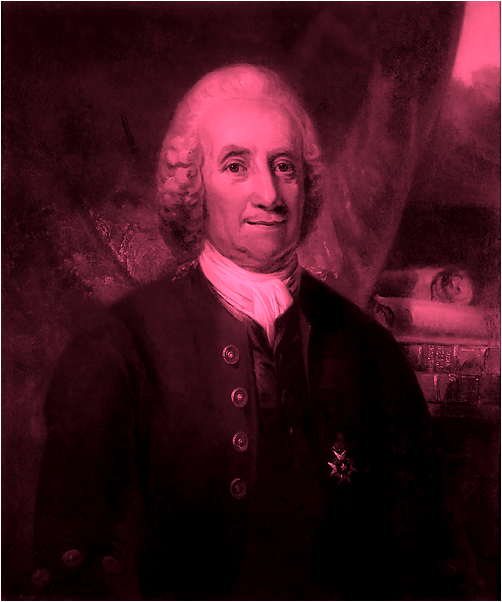 Evidently, there’s much more to say about Swedenborg regarding his concepts and the authenticity of his mystical connections; I promise to incorporate sometime in a longer post if interested, probably subsequent to reading the “Heaven & Hell” work which won him posterity. For now, what do you think about his rather strange philosophy? Heresy? Madness? A wild but nevertheless genuine hunch? Belle Epoque was the epicenter of both incurable vanity which Paris had literally strolling down its boulevards and unprecedented scientific revolution felt even beyond the borders of the Old Continent, a time when the bourgeois reinforced the avarice supposedly extinguished after 1789 and Greek values borrowed from the ancients augmented people’s desire of carnal delights. These dominating images, explicitly depicted in Balzac’s “La Comédie humaine “, Zola’s spicy novels, Lautrec’s posters and Proust’s lengthy memoir, formed the natural habitat of uncountable human specimens defined by most varied traits and lusty doctor Samuel Pozzi (1846–1918) was one illustrious stereotype who combined the two major preoccupations of the time as womanizer & gynecologist (get what I mean?). Sarah Bernhardt called him Dr. “God”, others Dr. “Love” (quite obvious why…) and some, for the brief period when Pozzi was young and technically insignificant with the student status, yet still very alluring to his charm’s victims, “the Siren”. There are several blogs on him where you can find elaborated biographies, like The Life and Work of Samuel Pozzi (brilliant guide, by the way), so I won’t begin to summarize his story in great detail but concern on anecdotes, facts and comments I myself relished while reading about our doctor, juicy informalities. Main model for Proust’s clumsy/ socially ambitious/ bourgeois Mr. Cottard, Pozzi was mediocre in his mentality and political views, scarcely aspirant for dandyism, averagely sharp, moderately cultivated and a horrible joker, as the great writer observed, so thanks God he had plenty of charisma to compensate! Oh, and he practiced gynecology, a branch of medicine which somehow forms a propensity for doing women genitalia in the man, especially the dishy one. But he surprisingly managed not to overly indulge into adultery and only select pedigreed pussies (count that of soprano Georgette Leblanc, actress Rejane, Georges Bizet’s widow, Sarah Bernhardt, and Emma Sedelmeyer Fischof ) to quench his appetite because, professionally, he was impeccable. You might come to think half the Paris female population prayed to encounter problems at its reproductive organs just to innocently spread her legs for Dr. Love! Pozzi had an unsatisfying marriage with heiress of a railroad magnate,Therese Loth-Cazalis, who insisted in bringing her nagging hag of a mother to their marital home, thus awarding him the alluring position of poor frustrated husband women queued to console. Beneath the serious-guy-dignified-academician facade was cunningly hidden a fountain of lechery and one demanding libido, so often met in remarkable persona (preferably check da Vinci before the Marquis de Sade), relieved by the many flirts French society generously granted. J.J. Sargent masterly captured and expressed this special trait in Pozzi with the above portrait bursting with eroticism (the vivid red robe) but still haughty and transmitting he’s trust-worthy, capable, qualified, the man you’d like to contact if you were sick or weary (can we add “both from clinical and carnal causes”?). The painting incorporated Pozzi’s essence good enough for a 21st century spectator to perceive least a tint of his personality and alleged posture thanks to Sargent’s compressive sense very precious in artists. Can you sincerely affirm you don’t feel that captivating thing about him here? His illustrative nicknames aren’t bluffs or mocking samples, you know. Pozzi truly was the randy doctor in our title and a damned experienced surgeon rewarded by most European medical associations and very credited for his innovating work. 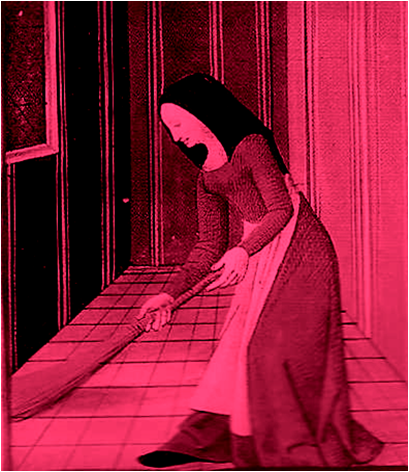 His affairs almost seem part of Boccaccio’s “Decameron“, misty and succulent, true, yet they’re nonetheless authentic and meticulously reported by historical resources at that. His palpitating heart that had tried such a large spectrum of feelings in the ardent game of love eventually ceased to pump blood in his body which turned gray and perished in its tomb at the Bergerac Protestant Cemetery. How we, cosmopolite, liberal Europeans, with pronounced anti-sexist views and very democratic in behavior (really? 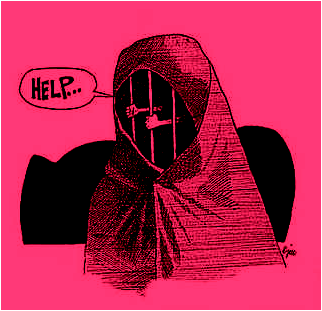 ), love to pity our Islamic sisters, the poor veiled ladies obviously maltreated by their husbands, oppressed by their discriminatory culture which, in addition, breeds mass-terrorist! We feel so superior, so falsely advanced and philanthropic, if we sustain their “cause” or, after reading the tragic memoir of one struggling Arabian wife, deeply involve in “aid Muslim women” organizations with the strongest sense of self-importance! It’s our duty to support them and actively participate in their externally imposed adaptation to the modern values. We made a mean of boasting with our humanitarian actions from it! And I don’t state that encouraging emancipation is, though majorly artificial, something blameworthy (after all, help’s inevitably welcomed), but it’s wrong to treat Arabian women as being clearly inferior. Not to say it’s another form of the unfairness we claim to want to diminish. We, sophisticated, unprejudiced lads, seem to have forgotten the funny contrast between our histories. Bet you don’t expect what I’m about to tell. …the poor Muslim gals had to settle on easier jobs, fitted for their limited capacities, like, I don’t know, patronizing world’s first University? 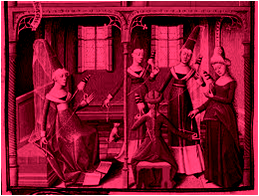 When the erudition of the female population was badly seen by Christiandom and women had to be satisfied with mere basic knowledge so they could remain the docile, plain brides men desired, Fatima al-Fihri (died 880), nicknamed Oum al Banine (meaning “the mother of the children”) founded the oldest academic degree-granting University existing today, the University of Qarawiyyin, in Morocco. Daughter of a wealthy businessman, Mohamed al-Fihri, she invested the money inherited from her father to build gathering locations for scholars. 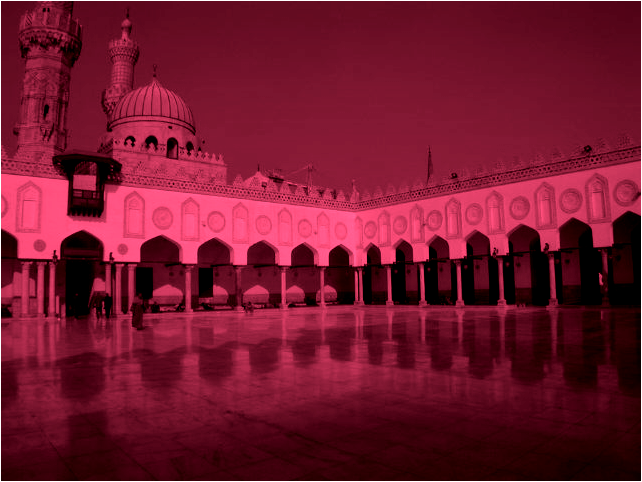 Her sister, Mariam, is said to have been responsible for the construction of the Al-Andalus (Andalusian) mosque in Fes. This was late 9th century, almost 200 to 400 years before the birth of our more educated Hildegard of Bingen (1097- 1179) and Christine de Pizan (1363- 1430). 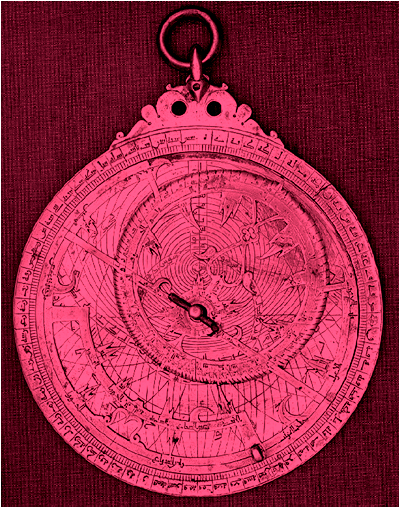 The 10th century doesn’t disappoint either: around 950, Miriam al-Ijli al-Astrulabi hand-crafted intricate astrolabes, a premature type of global/ Sun/ Moon/ planets/ stars positioning system, which was an impressive deed for the epoch. It’s sad, though, there’s not much information about these two, at least not in accessible language, ’cause it would be great to learn more of their lives and accomplishments. Personally, I discovered Miriam and Fatima’s vague stories from an informative exposition-program I stumbled across in Istanbul. 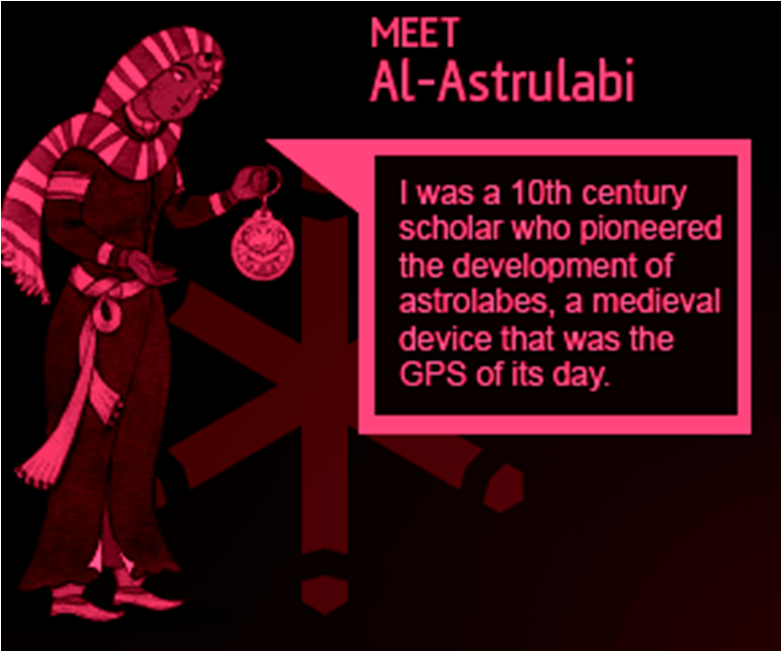 It was called “1001 Inventions” (if you need further details) and introduced to the public a list of the chief Islamic scientists, astronomers, doctors, architects, mathematicians, etc, amongst whom were our admirable ladies. Summing up: it’s very nice to help and sponsor Muslim women to speak-up, claim their God-given rights, liberate or whatever, yet you should bear in mind that they’re far from being pathetic and poor, on the contrary: they have a legacy we can’t brag with.